Tomorrow students will receive their iPods, they will be kept in school until students are confident in how to use them, once all students are ready we will invite parents into school before allowing students to take them home. We appreciate students thought they would receive their iPods today but there was a slight technical hitch and we want to ensure all the apps are loaded ready for learning, they will therefore be using them tomorrow. Here is one of the ways in which they will be use tomorrow…. 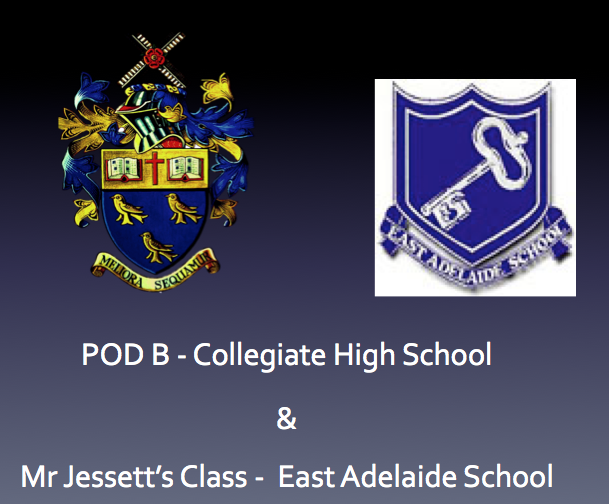 Students will connect with Mr Jessett’s Class at East Adelaide School which is in Australia. They will read paragraphs that the students in Mr Jessetts class sent to our school about themselves and then write back with their own paragraphs. Students will then use their iPods to upload the paragraphs to Schoolology to share them with Mr Jessetts class. Schoolology provides a secure place for students from each class to communicate with each other with the teacher having overall contol. More information about Schoolology can be found here. Every Thursday morning tutor tutor time students will be connecting with a classroom somewhere in the world. This entry was posted on September 6, 2012 at 11:15 am and is filed under POD A, POD B, Year 7. You can follow any responses to this entry through the RSS 2.0 feed. You can leave a response, or trackback from your own site.